Whitehouse, Patrick B. World of Trains. London. Hamlyn / New English Library. nd. 143 pps. 4to. Hardcover. Illustrated. Fine copy in fine dust jacket (in mylar). Whitehouse, Patrick. Classic Steam. London. Tiger Books. 1980. 192 pps. 4to. Hardcover. First edition. Fine copy in fine dust jacket (in mylar). Whitehouse, Patrick. 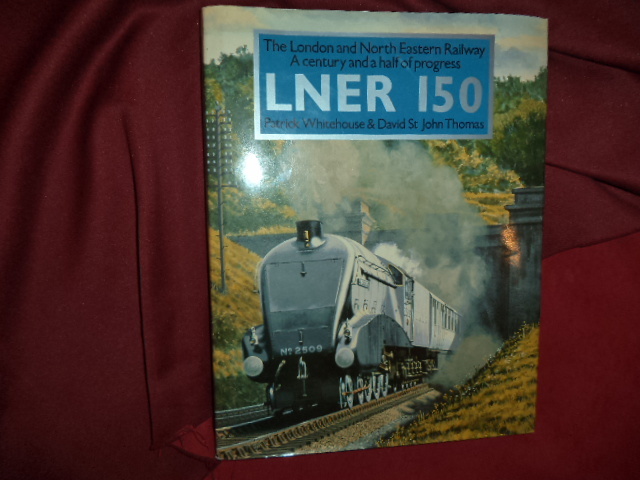 LNER 150. The London and North Eastern Railway. A Century and a Half of Progress. Photo available. np. David & Charles. 1991. 208 pps. 4to. Hardcover. Reprint. Illustrated in black, white and color. Important reference work. Fine copy in fine dust jacket (in mylar). Whitelock, Derek. 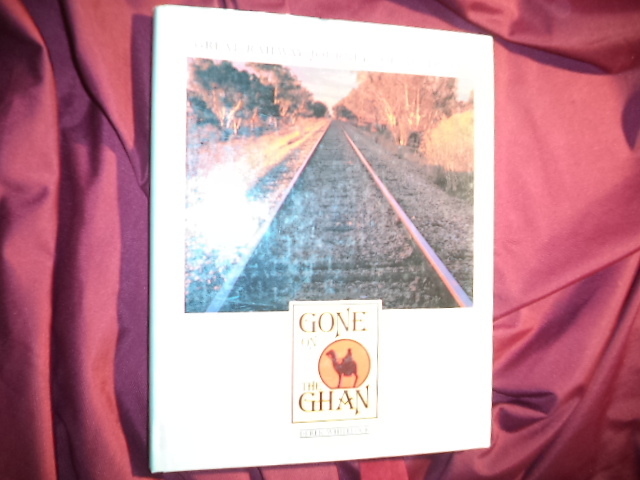 Gone on the Ghan and Other Great Railway Journeys of Australia. Photo available. Melbourne. Savvas Publishing. 1986. 188 pps. Octavo. Hardcover. Stated first edition. Illustrated in color and black & white. Important reference work. Fine copy in fine dust jacket (in mylar). Wiesenthal, M. The Belle Epoque of the Orient-Express. New York. Crescent Books. 1979. 95 pps. Octavo. Hardcover. First edition. Illustrated. Fine copy in near fine dust jacket (in mylar). Wiesenthal, M. The Belle Epoque of the Orient-Express. New York. Crescent Books. 1979. 95 pps. Octavo. Hardcover. First edition. Illustrated in black, white and color. Fine (owner name on end paper) copy in fine dust jacket (in mylar). Wilkins, Tivis (ed). Colorado Railroads. Chronological Development. Photo available. Boulder. Pruett Pub. 1974. 309 pps. 4to. Hardcover. First edition. Illustrated. Fine copy in fine dust jacket (in mylar). Williams Guy R. The World of Model Trains. New York. Chartwell. 1970. 256 pps. 4to. Hardcover. First edition. Illustrated with black & white and color photographs. Fine copy in near fine dust jacket (in mylar). Williams, Alan. Locomotives and Other Motive Power. British Railways. Photo available. London. Ian Allan Ltd. nd. 252 pps. Octavo. Hardcover. First edition. Illustrated. Important reference work. Fine (owner name on end paper) copy. Williams, D.C. Severn Valley Railway Stock Book. Salop. Severn Valley Railway. 1980. Octavo. Soft cover. First edition. Illustrated. Fine copy. Williams, John Hoyt. A Great and Shining Road. The Epic Story of the Transcontinental Railroad. New York. Times Books. 1988. 341 pps. Octavo. Soft cover. Reprint. Illustrated. Fine copy. Williamson, James. George & Robert Stephenson. London. Adam & Charles Black. 1958. 94 pps. Octavo. Hardcover. First edition. Illustrated. Fine copy in fine dust jacket (in mylar). Willis, Ted. The Buckingham Palace Connection. New York. William Morrow & Co. 1978. 288 pps. Octavo. Hardcover. First edition. Fine copy in fine dust jacket (in mylar). Wilson, B.G. Passenger Trains of the World. Hippo Books No. 11. np. Longacre Press. 1962. 128 pps. Octavo. Hardcover. First edition. Illustrated. Fine copy. Wilson, Neill C. Southern Pacific. The Roaring Story of a Fighting Railroad. New York. McGraw-Hill Book Company. 1951. 256 pps. Octavo. Hardcover. First edition. Illustrated. Fine copy. Wilson, Neill C. Southern Pacific. 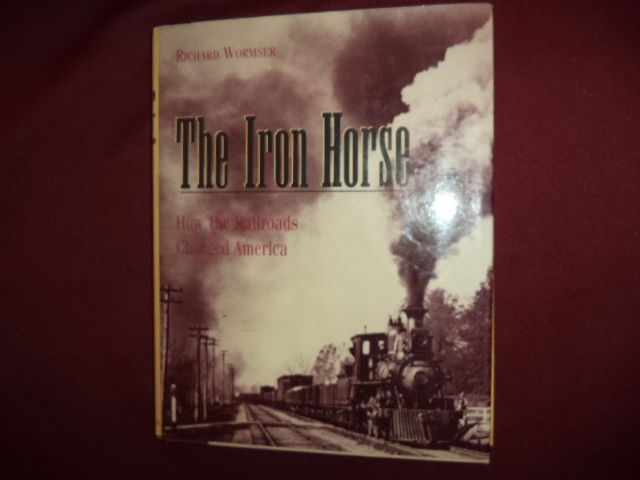 The Roaring Story of a Fighting Railroad. Photo available. New York. McGraw-Hill Book Company. 1951. 256 pps. Octavo. Hardcover. First edition. Illustrated. Fine copy. Winkowski, Fredric. 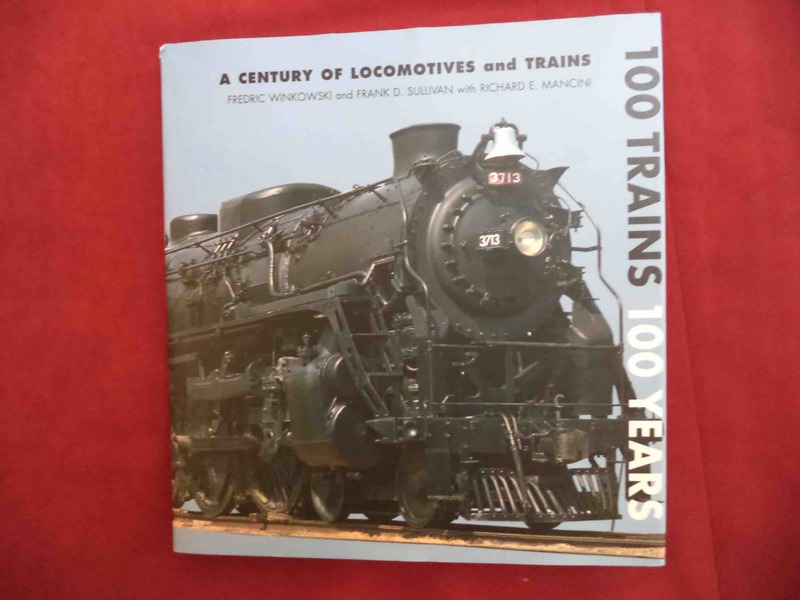 A Century of Locomotives and Trains. 100 Trains, 100 Years. Photo available. New York. Smithmark. 2000. 167 pps 4to. Hardcover. First edition. Illustrated in color and black & white. Fine copy in fine dust jacket (in mylar). Winkowski, Fredric. 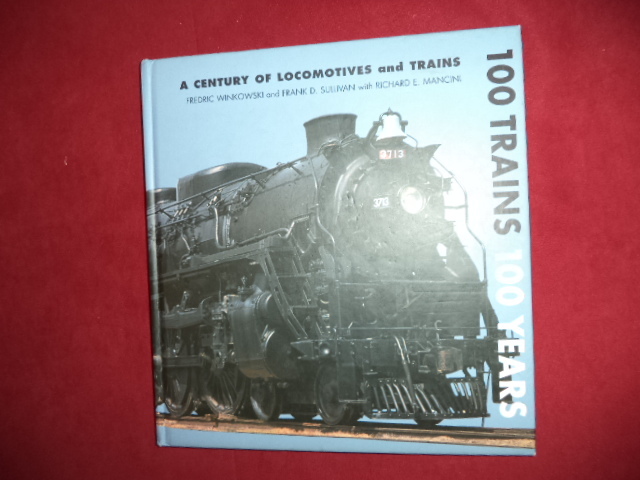 A Century of Locomotives and Trains. 100 Trains, 100 Years. Photo available. Edison. Castle. 2005. 167 pps 4to. Hardcover. Reprint. Illustrated in color and black & white. Fine copy. Withuhn, William. Rails Across America. London. Smithmark. 1993. 4to. Hard cover. First edition. Illustrated in black, white and color. Inscribed by the Late Walter Grey. Fine copy in fine dust jacket (in mylar). Wolmar, Christian. 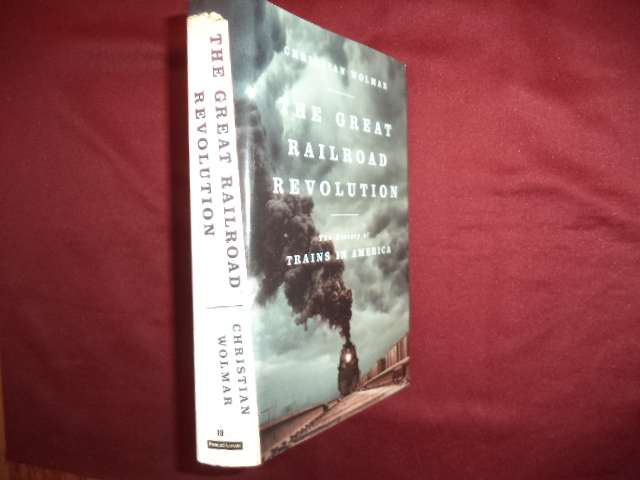 The Great Railroad Revolution. The History of Trains in America. Photo available. New York. PublicAffairs. 2012. Octavo. Soft cover. Reprint. Illustrated. Important reference work. Fine copy in fine dust jacket (in mylar). 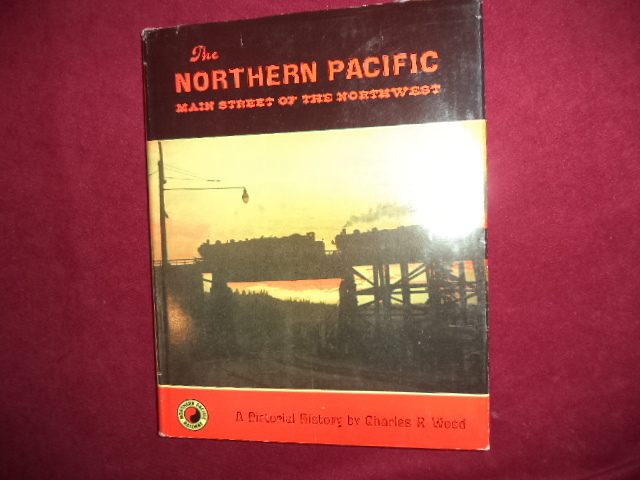 Wood, Charles R. The Northern Pacific. Main Street of the Northwest. A Pictorial History. Photo available. Seattle. Superior. 1968. 208 pps. 4to. Hardcover. First edition. Illustrated. Fine copy in fine dust jacket (in mylar). Wood, Charles, and Dorothy Wood. Spokane Portland and Seattle Ry. The Northwest's Own Railway. Photo available. Seattle. Superior Publishing Company. 1974. 159 pps. 4to. Soft cover. Reprint. Illustrated. Important reference work. Fine copy. Wood, Charles. Lines West. 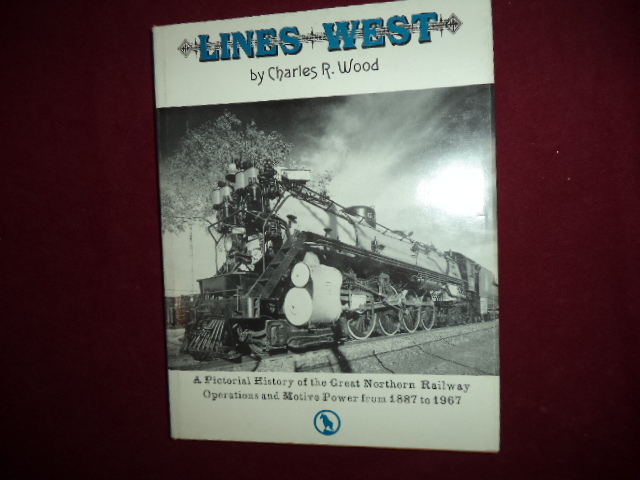 A Pictorial History of the Great Northern Railway Operations and Motive Power from 1887 to 1967. Photo available. Seattle. Superior Publishing. 1967. 4to. Hardcover. Second edition. Illustrated. Fine copy in fine dust jacket (in mylar). Woodhouse, Phil & Daryl Jacobson. The Everett and Monte Cristo Railway. Photo available. Monroe. Northwest Mining. 2000. 234 pps. 4to. Hardcover. First edition. Illustrated in black, white and color. Important reference work. Fine copy in fine dust jacket (in mylar). Wormser, Richard. The Iron Horse. How the Railroads Changed America. Photo available. New York. Walker and Company. 1993. Octavo. Hardcover. First edition. Illustrated. Important reference work. Fine copy in fine dust jacket (in mylar).